The Ocoee Dry Bag is one of the most trusted pieces of gear that I own. Even more so, I trust some very expensive gear in this bag on a regular basis. I take this dry bag with me when whitewater kayaking, rafting, and even camping. I have had this bag for almost a year now and see no signs of use on it yet. What sets the Watershed bags apart from other dry bags is the "DrySeal" closing mechanism as opposed to a "roll top." It’s basically like a heavy duty ziplock and then you can roll it after that. I like the Ocoee size because it is the only size that will fit in the back of a whitewater kayak. It also has built-in loops so you can clip it into a boat or raft with a carabiner. Most days, my Ocoee dry bag has my first aid kit, a pin kit, extra layers, and lunch in it. Other days I will put a padded divider into the bag and pack my $1000 DLSR camera in it. It is super easy to find all of my stuff because of the duffle shape. I also like how I can roll the bag down to make it smaller if I don't have a lot of stuff or pack it to the brim and have quite a lot of stuff. All in all, I trust this bag to keep my gear 100% dry. -Even fits in a small playboat! There is no bad, these are the best dry bags hands down. 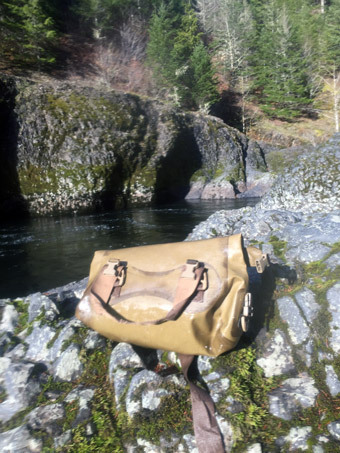 The bottom line is that Watershed makes the best dry bags in the business. 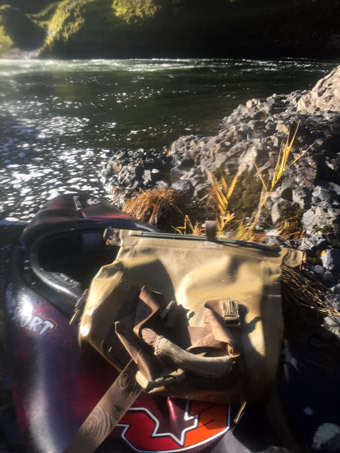 If you are doing any whitewater, regular roll top bags just don't cut it. This bag can take its own trip down the grand canyon and will 100% be dry by the end of it.